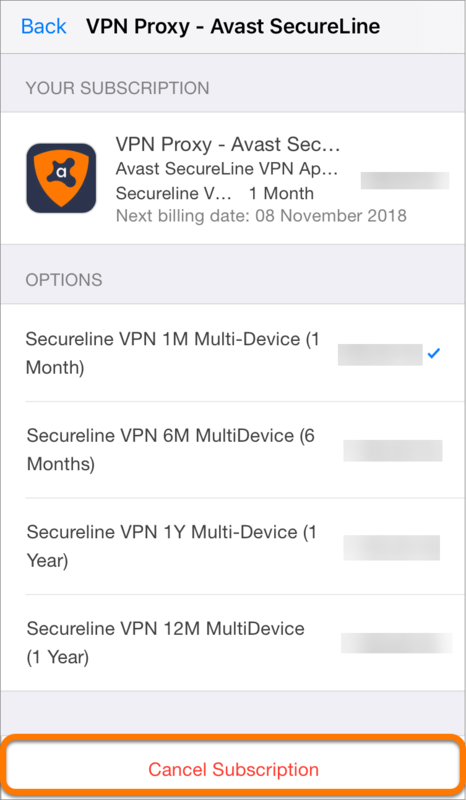 An additional Avast SecureLine VPN subscription on an Apple iOS device can occur if you accept a trial subscription while you already have another active subscription, for instance, when you reinstall the app on your device, or install the app on another device. To prevent activating a secondary subscription during installation, tap Skip ▸ Start trial ▸ Already purchased (below the subscription period options). Refer to the steps in this article to cancel an additional subscription. 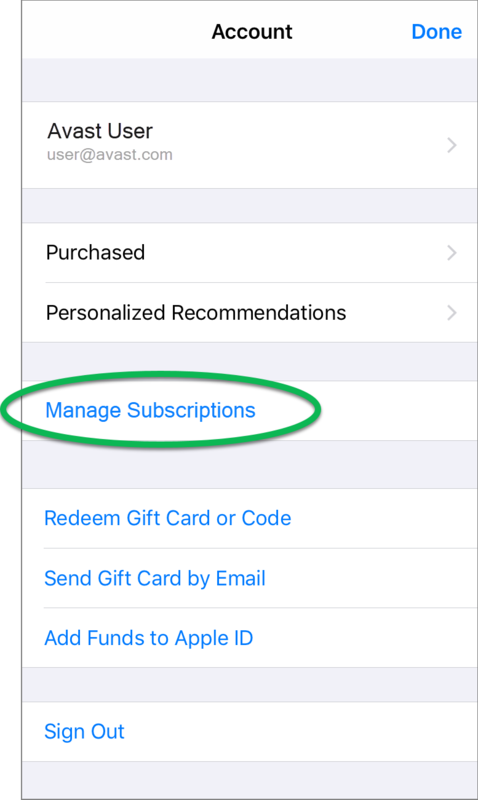 Before you begin, ensure you are signed into the same Apple account that you used to activate both subscriptions. You can check these details by going to Settings ▸ iTunes & App Store on your device. Tap Manage Subscriptions, then tap the second SecureLine VPN subscription to open more details. Tap Cancel Subscription, then follow the on-screen instructions to finish canceling your subscription. 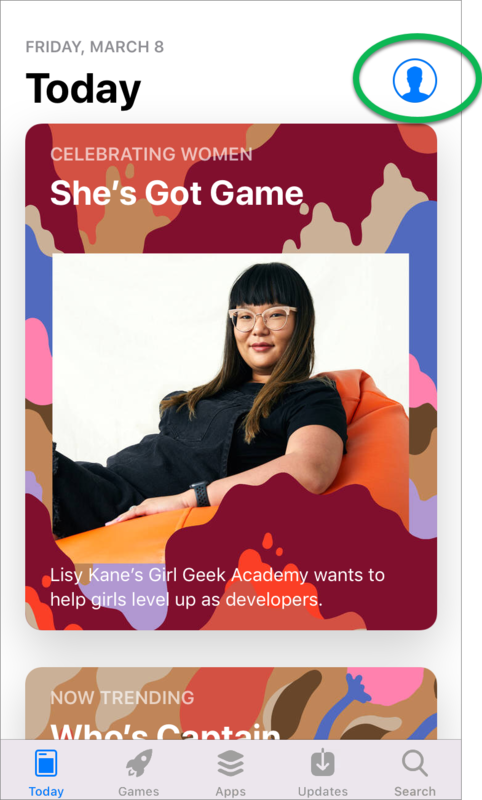 The App Store confirms that the subscription is canceled. If the subscription trial period has not yet ended, the subscription finishes at the end of the trial period. If the subscription trial period has already ended, the subscription will stop at the end of the current billing cycle. In this case, contact the App Store directly to arrange a refund.